I made this super cute and easy to sew blanket a few weeks ago. This little cuddly blanket only took me about 30 minutes to make. Most of the time was spent pinning. We have kits available for purchase in the Shoppe to make this blanket! All you need is 3/4 to 1 yard of 2 different minky fabrics. You can actually get 2 blankets out of this amount of fabric. I didn't wash the fabric first. I first put the pieces right sides together and trimmed to about the size I wanted. No fancy measuring needed. :) Then pin all the way around about every 3 inches. This is the most time consuming part but it makes it really easy to sew up. Then I sewed up the edges with a 1/4 inch seam leaving about 5 inches open at the end. Turn the blanket inside out and top stitch about a 1/2 inch in. I am not sure the technical way to finish off but i just tucked the edges in the 5 inch hole and continued the top stitch all the way around the blanket. Then done! So easy and the fuzzy fabric even hid a few mistakes i had to sew over a few times. There's my peanut holding the finished product! So cute and cozy! Great shower or toddler gift! We have kits available for purchase in the Shoppe to make this blanket! 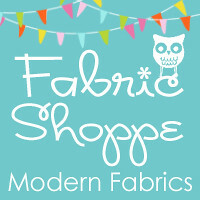 Get your cuddle minky fabric in the Fabric Shoppe if you want to make one too! New fabrics keeps coming in our doors, including many of this years Christmas lines! Here are a few from the past weeks! Today's Featured Tutorial is a darling Camera Strap Cover by Kevin and Amanda. Full camera strap tutorial here! Happy creating! 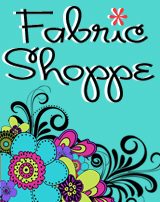 This weeks Featured Customer is Quilt Couture. Vintage Charm. Modern Design. Custom Rag Quilts where you get to choose the fabric! 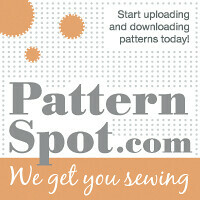 or ready to ship quilts in fun fabrics!